stompboxjon's review"Could be a great homebased musician interface"
CerotoneSystem's review (This content has been automatically translated from French)" A convenient interface"
Lazare LMS's review (This content has been automatically translated from French)" excellent sound card"
I mainly use it with my PC. 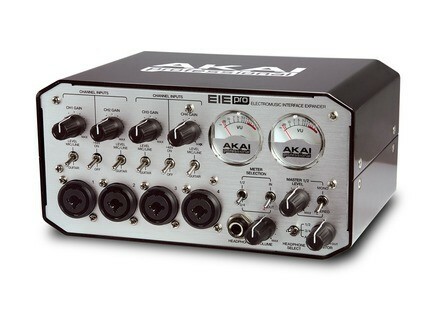 Sometimes I am also serving on my Akai DSP 16. I also connects via USB on a PV8 console and a Peavey 24 ZMX Electronic Alto home. Never a problem. Ability to record four tracks, but I have never recorded more than two tracks simultaneously. The gain knobs are accurate. The VU meters are enlightened in red that you exceed the limits which is very useful especially when you are recording alone. Inters micro / line selection are useful. I installed the drivers and everything worked from the start. So easy config. I use it since 2012 and if I had the choice again no hesitation. Never planted, reliable brief excellent quality and good quality / price ratio. 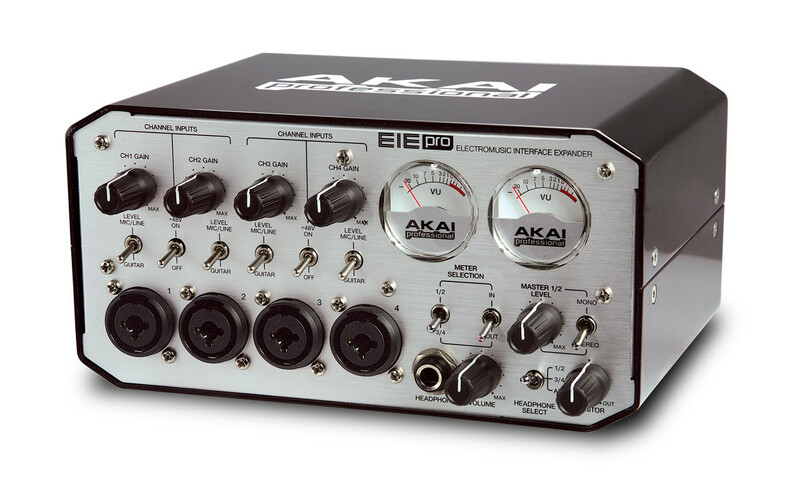 I made this choice because I already had the hardware Akai jnen and am very happy. explodingboy's review (This content has been automatically translated from French)" well"
Gizzippy's review (This content has been automatically translated from French)" Good for beginners"
Inexpensive and very good quality, I recommend this sound card for beginners computer music. Do not rely too much on SHIFT Akai. Latency is acceptable for the price of the machine. No conflicts with regret anything. I've had a year, it works very well it's solid! The look is one of its strengths. It is honest enough money level.